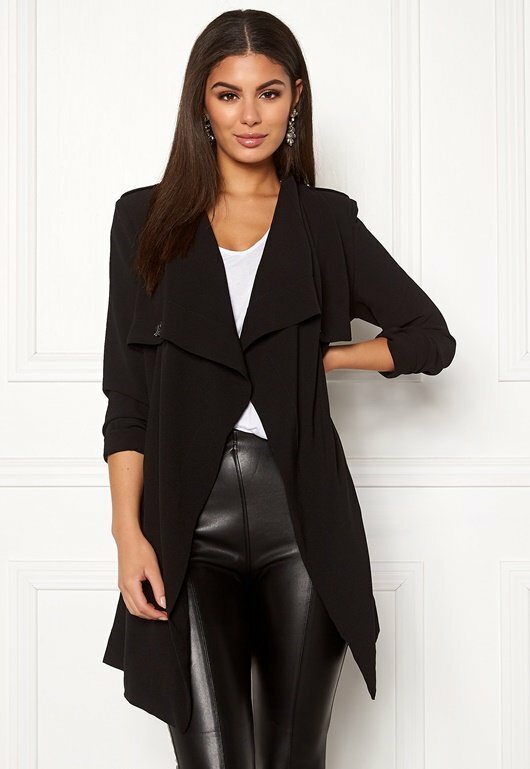 Trendy jacket with removable shoulder pads from Object. Button to chest and shoulder on both sides, tie waist and two front pockets. Back button. Back length from shoulder 83 cm, bust 100 cm and sleeve length from shoulder seam 62 cm in size S. Machine wash 30 degrees.